Nvidia has launched its brand new Maxwell core architecture with two new mid-range graphics cards in the Geforce 700 series. The Geforce GTX 750 Ti and Geforce GTX 750 are based on Nvidia's first generation Maxwell architecture, designed to offer much better power efficiency for gamers. Maxwell is 35% faster than Kepler in overall core efficiency and almost double the performance per watt - or four times the efficiency of Fermi. Nvidia told us that Maxwell is designed perfectly for small form factor PCs and, specifically, Steam Machines. Simply put, no matter what machine you've got (even a cheapo off the shelf box from PC World), you'll be able to drop these cards in without an external power connector, making it ideal for low cost, low power SteamOS boxes. With 640 Cuda Cores, the GTX 750 Ti is the headlining card, a TDP (thermal design power) of 60W, a memory speed of 5.4Gbps and a configuration of 2GB or 1GB GDDR5. The GTX 750 meanwhile boasts 512 Cuda Cores, a 60W TDP and a lesser memory speed at 5.0GHz, with a 1GB of GDDR5 configuration. Pricing for the 2GB 750 Ti will begin at £114.99 ($149, about AU$165), while the 1GB GTX 750 GPU will start at £90 ($119, about AU$130). While these aren't mind-blowing in terms of performance, remember that this is just the first generation of Maxwell. 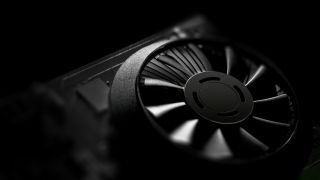 Nvidia promised us that it will introduce higher performing second-generation Maxwell GPUs with more graphical might "at a later date". With the onslaught of Steam Machines heading this way, Maxwell is arriving at just the right time.